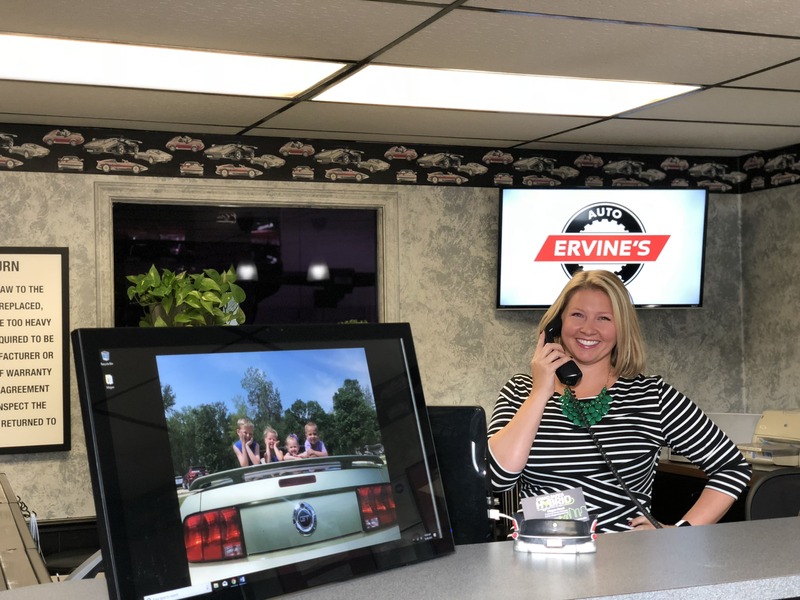 We all have a story, and at Ervine’s Auto Repair & Grand Rapids Hybrid, it seems as if the words of our story were written in engine oil rather than ink. The industry of auto repair has always been our guiding light, as each step we took toward the future was to improve and grow with the automotive field in our community of Grand Rapids. And we are fortunate our auto mechanics and the rest of the team at Ervine’s Auto Repair & Grand Rapids Hybrid have shared the same joy and diligence. Eric Carlson is the husband of the husband-wife duo of Ervine’s Auto Repair & Grand Rapids Hybrid. Both Eric’s parents were librarians, so it must have come as a surprise to them when they saw him pushing a torn-apart motorcycle to his bedroom and then attempting to wash car parts in their bathtub. But his parents let Eric flourish, and he followed his passion from enrolling in the Automotive Program at Ferris State University, working at shops that taught him how to properly treat both his team and customers, and finally opening up his auto repair shop. Eric’s outstanding record of service in the auto repair industry has awarded him the NAPA / ASE Technician of the Year honors for four years! For Jamie Carlson, she found herself joining the Air Force at 20-years-old and becoming an aerospace ground mechanic, responsible for maintenance and repair of ground support equipment. This provided a wide range of technical experience from small jet engines to diesel generators, hydraulics, air conditioning units and much more. More importantly a two year assignment as a Material Support Liaison (think Radar O'Reilly on M.A.S.H.) offered real work education on what it takes to keep equipment maintained and/or repaired and back on the flightline as efficiently as possible. Being able to help solve problems in the capacity was very rewarding to Jamie. When Jamie and Eric met, they found that they shared a common love of auto repair; so they joined forces and--with their combined powers of passion, perseverance, and patience for both their team and clients--Ervine’s Auto Repair & Grand Rapids Hybrid continues to be at the forefront of the automotive community in Grand Rapids. Now, both Jamie and Eric love showing up to work each day, taking on responsibility and purpose for providing their team and customers with an environment of kindness and transparency. 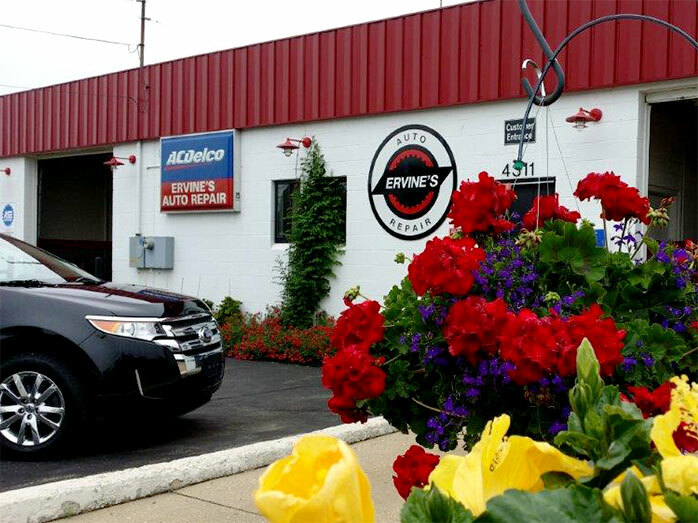 You can’t usually have it all, but at Ervine’s Auto Repair & Grand Rapids Hybrid, it seems as if you can: top-notch auto mechanics with ample experience and kind-hearted, down-to-earth service advisors. Schedule an appointment today at Ervine’s Auto Repair & Grand Rapids Hybrid. We are located at 4311 Stafford SW, Grand Rapids, Michigan 49548 and are open Monday - Friday, 8:00 AM - 5:00 PM.